Offering you a complete choice of products which include Printed Circuit Board such as Rigid Flex PCB, PCB Fabrication, Flexible PCB, Aluminium Clad PCB MCPCB, RF PCB, PCB Board and many more items. 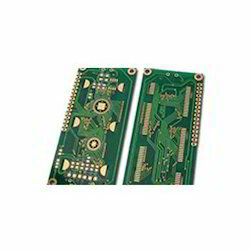 Being a renowned organization of market, we are engaged in offering an utmost quality Printed Circuit Board. In order to fulfill the need of Public and Private sector companies, the offered circuit board is designed using quality assured material and progressive technology. Our quality experts check this circuit board against various quality parameters to maintain its flawlessness. Also, our customers can avail this circuit board from us as per their needs. We have dedicated and quick-turnaround operations capable of delivering PCB prototypes with lead time as short as 48 hours. 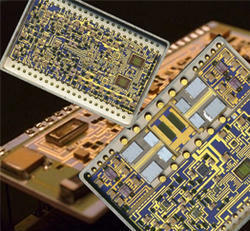 our integrated solutions provide a seamless flow to meet both mid and large scale PCB manufacturing requirements. The transition to volume production is simplified by utilizing our integrated PCB model of NPI through high-volume, cost-effective production, all through a single provider. 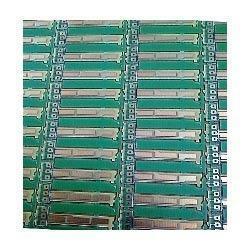 We are identified as one of the most competent enterprise of this industry for offering PCB Fabrication. Our offered fabrication services are carried out by making use of advance technology. We are specialized in quick turnaround of prototypes & deliver these services only after considering exact requirements of our customers. 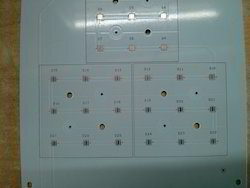 Our deep industrial knowledge and hard-earned industrial experience helps us to provide Rigid Flex PCB. 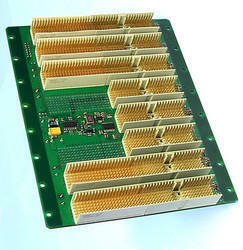 This circuit board is suitable for the rigors of aerospace, medical and military applications. Our provided circuit has the ability to be folded or creased and positioned into the smallest areas. Additionally, our offered circuit board can be availed by our clients in numerous customized options within stipulated time frame. 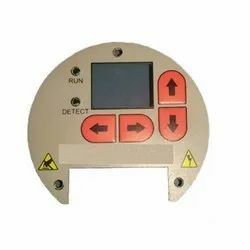 we design and manufactures all types and configurations of silicone rubber keypads for a wide range of industries and applications. For both large and small customers we provide engineering and design assistance to make sure that your keypads exceeds all of your specifications. 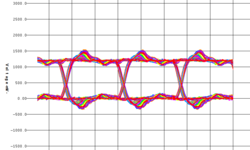 we are supporting for a quick turn design analysis services as A growing number of companies are experiencing a sharp upturn in system-level Signal Integrity issues that result in project delays and increased cost. 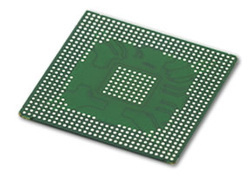 Argus Embedded systems have added High Density Interconnect(HDI) PCB manufacturing to its comprehensive capabilities in PCB fabrication and assembly services.Printed circuit boards with a much higher wiring and pad connection density are called as High Density Interconnect(HDI) PCBs. Argus can supply HDI PCB fabrication services for Automotive (Engine Control Units, Dashboard Electronics, GPS), Computers (Laptops, Tablets, Wearable Electronics, Internet of Things), Communication (Modules, Routers, Switches) & Digitial (Cameras, Audio, Video) printed circuit boards. We offer a complete solution for backplane fabrication and assembly from our cost-competitive manufacturing facilities in North America and China. We can build all types and sizes of backplanes, including some of the largest and most sophisticated back-panels in the world. We offer both leaded and lead-free processes, to assemble components onto a printed circuit backplane board. Components include active and passive devices, thru-hole (soldered) components, press fit (compliant) components, and a variety of mounting hardware. Full test and AOI capabilities insure the highest quality delivered products. We are professional PCB and PCBA manufacturer offering One- Stop PCB assembly service including PCB Design, Reverse Engineering, PCB fabrication, components purchasing and PCB assembly and enclosures. 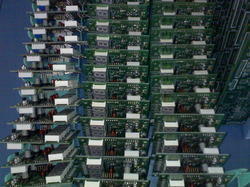 HDI is one of the more complex board fabrication processes we specialize in. We use SBU technology, which allows sequential addition of more pairs of layers to form a multilayer core, to create this type of highly integrated PCB. SBU is a multilayer technology that can be achieved by putting a dielectric element and a copper foil on both top and bottom of the core before it is submitted to laser drilling, image transferring, and etching processes. Multilayer PCBs designed through this technological procedure are marked by a sequence of numbers and Ns, (e.g., 1+N+1, 2+N+2, etc. ), where N represents the number of layers that form the core and the numerical values represent the number of layers added. At our facility in Taiwan, we have successfully created so far HDI-SBU with sequencing reaching Any-Layer Interstitial Via Hole (ALIVH) in HDI fabrication. 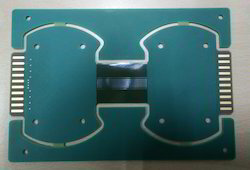 We achieve this by applying a metallization technique to interconnect via holes (IVHs). This method not only offers stronger interconnection of stacked vias, but also achieves better thermal management, which significantly increases board reliability at severe circumstances. We fabricate every piece of HDI SBUs in-house thanks to our complete range of advanced machines and equipment. Among the advanced equipment we own and operate include Laser Direct Imaging machines, which can provide reliable and repeatable 2/2 mils with the limited solder mask clearance of 1 mil. 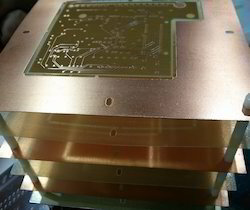 With such advanced equipment, we are also capable of fabricating probe cards, DUTs, and load boards for use in the semiconductors industry as well as burn-in boards of up to 50 layers on a 0.276-inch thick board with an aspect ratio of 20:1, metal core, and substrate PCBs containing 1.50 mils trace and space. 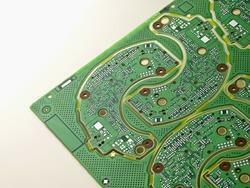 we are largest supplier of printed circuit boards and custom assemblies to the Aerospace and Defence industries. 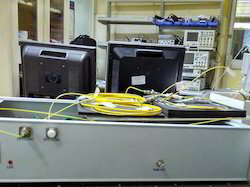 Superior reliability is the overriding issue for military and aerospace electronics. Regardless of application, they must perform in the most extreme environment and hazardous situations. As military and aerospace electronics are reduced in size to increase functionality and reduce weight, they incorporate new technologies that need to be thoroughly tested and proven reliable. These new processes must be characterized "stable and controlled" before they can be implemented in mission-critical applications. IC substrates serve as the connection between IC chips and the PCB through a conductive network of traces and holes. IC substrates support critical functions including circuit support and protection, heat dissipation, and signal and power distribution. IC substrates represent the highest level of miniaturization in PCB manufacturing and shares many similarities with semiconductor manufacturing. We supply many types of IC substrates on which IC chips are attached to the IC substrate utilizing wire bonding and, or flip chip methods. Thick film hybrid microcircuit technology involves the precision screen printing and firing of conductors, resistors and dielectrics onto a ceramic, titanium or stainless steel substrate for multilayer circuitry. Resistors are laser trimmed to achieve precise values and this can be done after surface mount assembly to achieve functional circuit adjustment. A wide range of resistor values from milli-ohms to giga-ohms along with ratings of up to tens of thousands of volts and fractional ratio tolerances are achieved. Assembly is performed using surface mount components and pick and place technology or, alternatively, silicon chips and wire bonding are used. 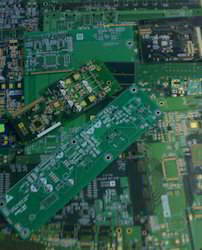 Looking for Printed Circuit Board ?